With a heritage spanning over 40 years, ATM is recognised internationally as a trusted supplier of robotics and production automation systems to many market sectors including: automotive, medical device, healthcare, packaging and building products. ATM has combined expertise in automating plastic and metal components for the automotive sector. This has led to the development of a range of flexible automation systems, suitable for low volume or high volume applications. These can be used on components such as door trim assemblies, carpet and flooring, instrument panels, automotive seats, headliners and much more. ATM provides assembly systems, welding systems, joining systems and machine vision inspection systems. ATM medical sector automation systems include semi-automated intelligent work stations for pilot build. These are fully automated high volume manufacturing systems, capable of component assembly levels exceeding 20 million parts per year. ATM supplies industry compliant assembly automation systems to the medical device, healthcare products, ostomy and contact lens sectors. ATM has developed a number of innovative packaging automation concepts using cartesian and 6-axis robot systems. We also design and build specialist systems for the automated manufacture of plastic building products, including high-speed rotary systems for multi-part assembly. 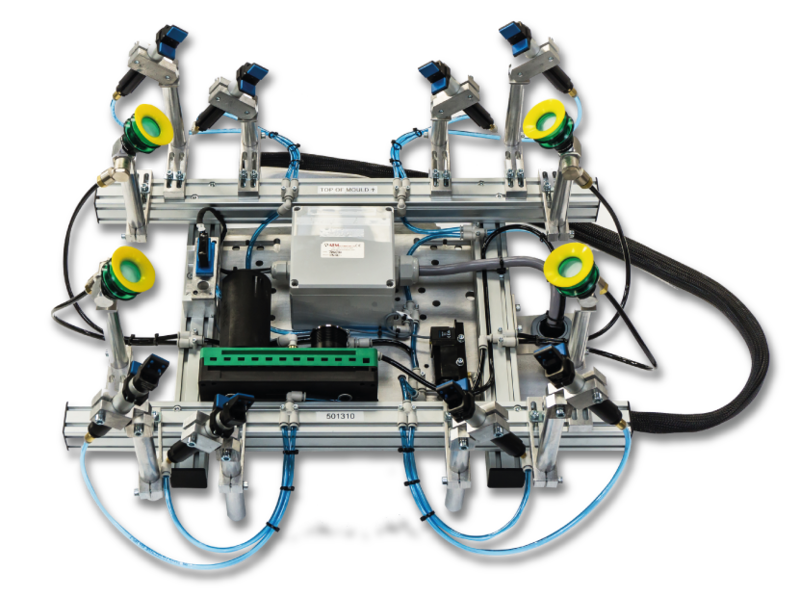 ATM designs and manufactures bespoke grippers and EOAT systems for robots and special purpose automation systems. These are used to handling everything from miniature components, weighing from just grammes up to large automotive interior sub-assemblies. We also provide an extensive range of EOAT components and robot gripper kit parts.